The microwave oven is the Volvo of the kitchen – they’re good, but they’re boxy. * Yes, they do the job well that they are built for, but generally it is an appliance that is devoid of much in the way of design. 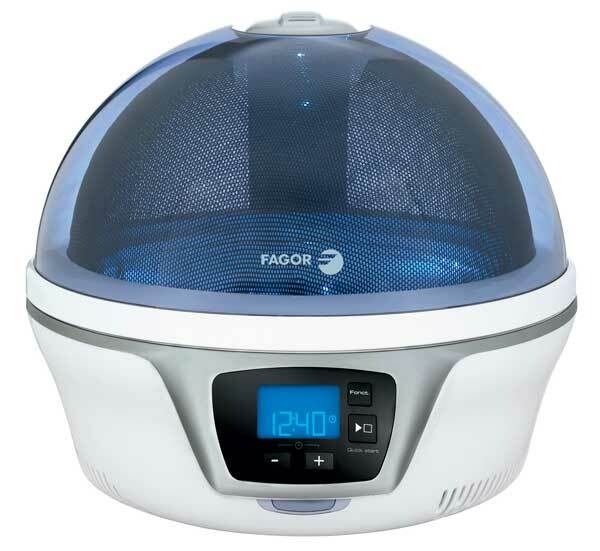 UK brand Fagor has put some design effort into its recently released Spoutnik microwave oven. 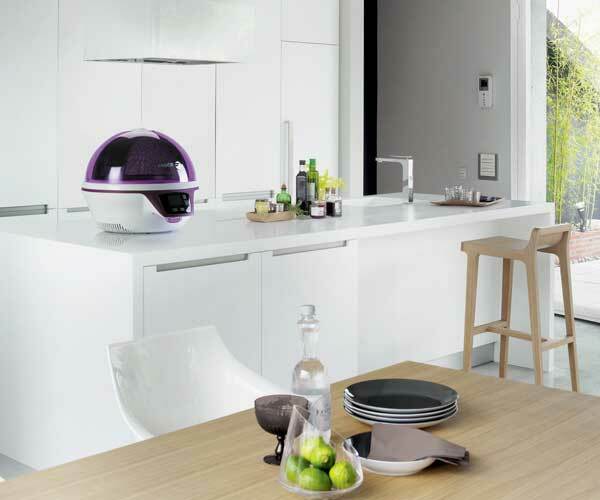 The box is gone, and in sweeps the globe in this distinctive kitchen appliance. The Spoutnik is available in three colours, blue, green and purple, or Blue Odyssey, Green Flash and Ultra Violet if you will. Or must. It’s a 1200 watt microwave oven, with a 28 cm turntable, and a 360-degree view of the food as it cooks. It is on sale in the UK now, at a price of £250. *Line borrowed and reversed from an old Dudley Moore film, “Crazy People”. Next ArticleSmarter Socks – get them before they get you!